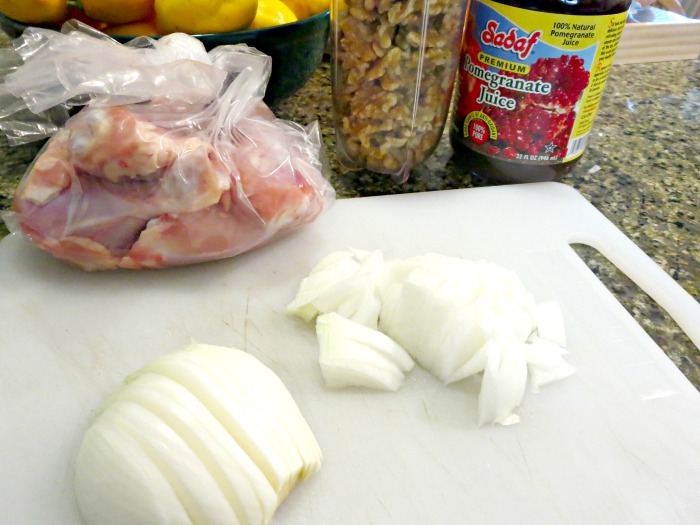 Do you feel sometimes that you are stuck in the rut when you consider what to make for dinner? I certainly did last year, and this is why my own challenge to myself and to my daughter to cook around the world has been so exciting so far. We made another chicken dish this week, but we dressed up our chicken in the ways we haven't even considered before. 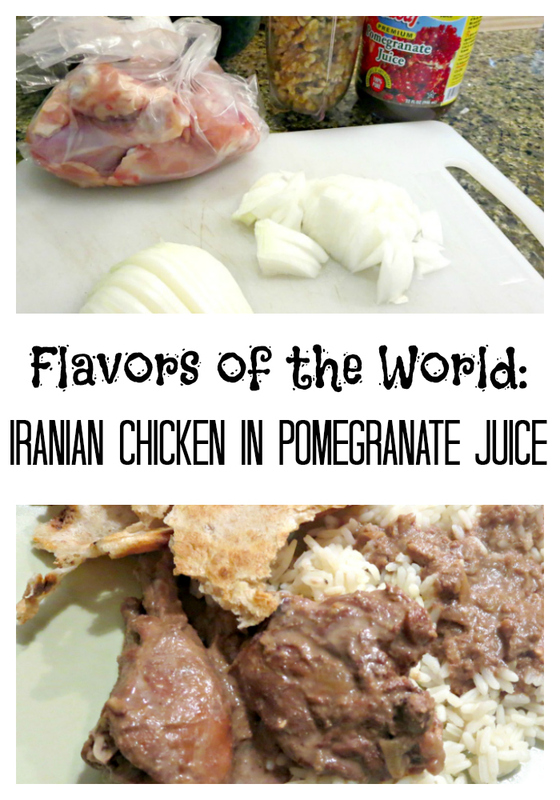 We made a delicious and easy weekday dinner recipe - Iranian chicken in pomegranate juice. How do you choose new recipes to try? One of my main criteria is for the recipe to be reasonably easy and not require multiple gadgets, because I hate pulling out gadgets, assembling them, and then having to wash them thoroughly and storing them away again. Iranian chicken recipe (Khoresh Fesenjan) fit my requirements, because it uses only a few ingredients, easy to make, and only needed our trusted Magic Bullet that we have standing at ready on our counter top. I did not modify this recipe from its original source at all and found it very easy to put together. 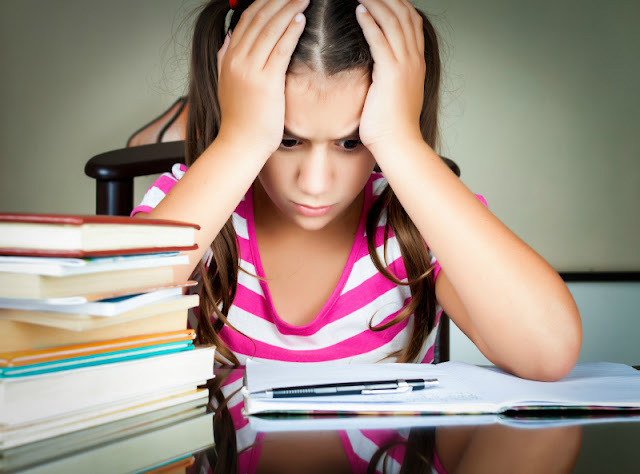 In fact, it is so easy that I think my 9 year old should be able to do it on her own very soon. 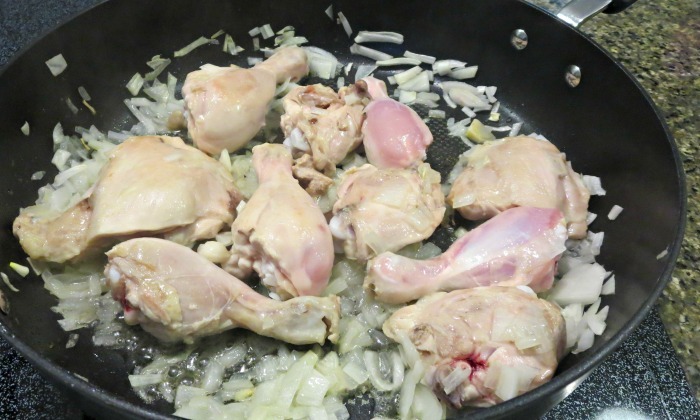 The opinions split on this recipe- both my daughter and I really enjoyed this hearty chicken stew, but my husband was not on board. He said that the sauce felt "sandy" because of ground walnuts, and he is definitely not a fan of bones in his chicken. 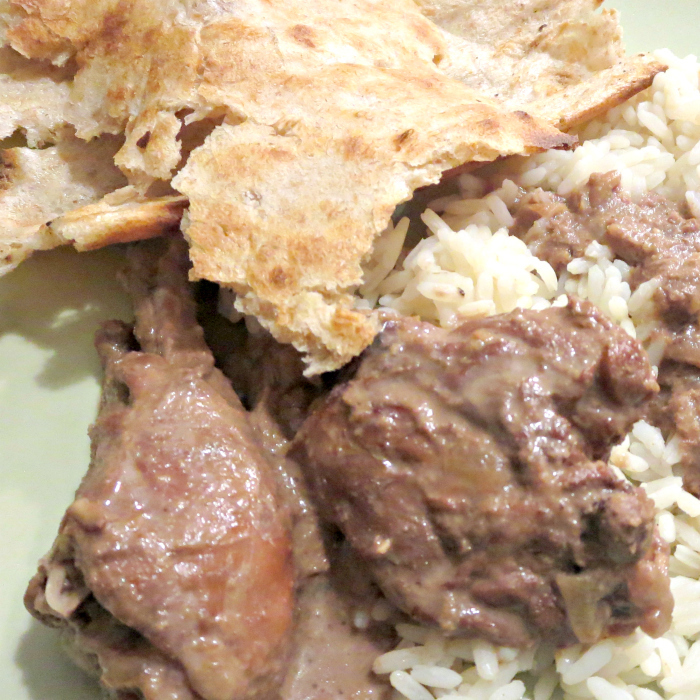 Perhaps we will do the recipe again for when he is traveling, because I would love to enjoy it another time. Sadly my husband is not a big fan of meat in fruit sauces, so I'd probably get mixed reactions to the meal also. You could probably also try it with boneless chicken breasts, I've made that substitution quite often at our house. Oh, and your criteria sound quite similar to my criteria for meals. We have recently successfully tried Hawaiian meatballs twice now, and I have managed to make the meal twice without getting pictures. This is why I'm not a food blogger.